If you’ve never been to Wisconsin or Canada, you’ve never had real fried cheese curds. OK, maybe that’s not true, but on a serious note– if you haven’t had them, you need to. Cheese curds aren’t the same as the fried cheese sticks you get at your neighborhood bar and grill. They aren’t even the same as the cheese on a stick you get at the county fair. No, sir-ee Bob– they’re in a game all their own. So what makes a cheese curd a cheese curd? The cheese part isn’t finished cheese. It is higher in protein content and a bit lower in fat than finished cheese. It also usually comes from cheddar cheese as opposed to provolone or mozzarella. Unless you live near a creamery, I highly suggest you look for a vacuum sealed variety. You see, part of the fun of cheese curds is that they’re kind of rubbery and they ‘squeak’ against your teeth when you eat them raw. They lose that springiness and squeak within days after production, but it’s preserved with a good vacuum seal. The packaging looks like this one from Bolen Vale Cheese company (who does ship during fall and winter, so be on the lookout!). I cannot say it enough– this recipe will not work with cheese crumbles or cut up chunks of finished cheddar cheese. 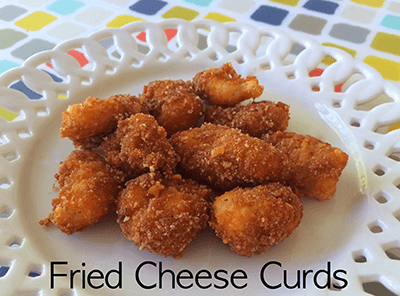 You absolutely need to purchase actual cheese curds for this recipe to succeed. Because of their high protein content, cheese curds don’t melt into a pool of liquid when they hit boiling oil. Cheddar cheese absolutely will. 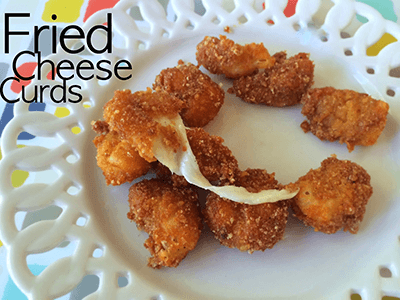 Just look at the cheesy goodness of that low carb cheese curd. I mean seriously. It’s a thing of beauty! The curd itself is pretty salty, too, so these are a real treat. 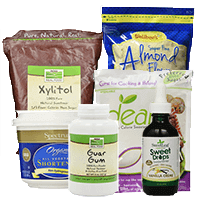 Makes about 4 servings. 2g carbs per serving. Begin heating coconut oil in pan until it reaches 350 degrees and hold it there (estimate is fine). Combine pork rinds, parmesan, coconut flour, pepper, cayenne and garlic powder in a large Zip-Loc bag and shake well to mix. In a small bowl, whisk together cream and egg until it is totally smooth. Place cheese curds into the bowl with the cream mixture and drench the curds well. Remove with a slotted spoon and place them into the pork rind breading bag. Hold bag closed and shake the cheese curds in the breading mixture for about 15 seconds or until each curd is coated well with breading. Remove breaded curds from the bag and drop them into the hot oil. Cook curds in oil for about a minute to a minute and a half. They will begin to float slightly when done, and they should be crisp and golden brown. Drain cooked curds onto a paper towel to remove excess grease. 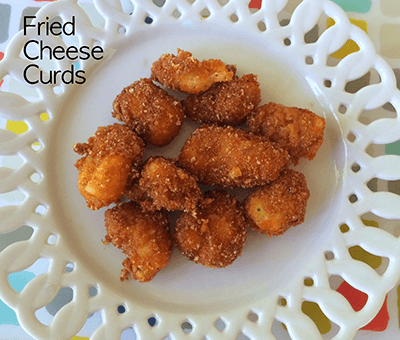 Allow curds to cool for a few minutes, then enjoy!